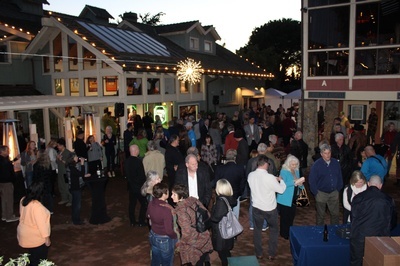 The Barnyard Shopping Village cordially invites you to the Carmel & Carmel Valley Chamber of Commerce Mixer for an enchanted evening featuring entertainment by the Chicano All-Stars, and small bites and wine from Allegro in a beautiful outdoor setting. We welcome you to come stroll the beautiful gardens and feel the synergy where "Carmel Comes Together." We'll see you at the Barnyard - Just look for the windmill!